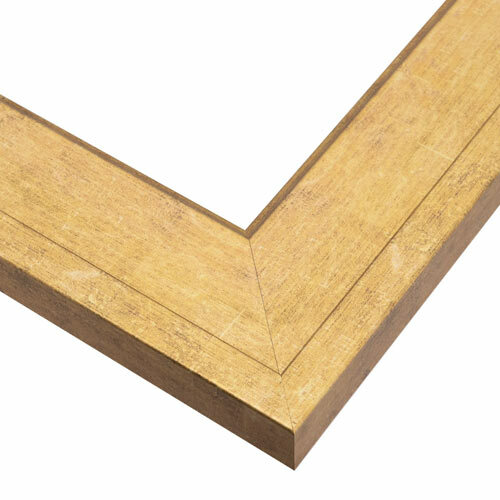 Bring some classic glamour to your space with the affordable luxury of this gold plein air picture frame. The flat profile has a brushed antique look with a raised outer step and sloped inner lip that adds elegant character. Made from upcycled wood fiber, it makes for an eco-friendly, photographer favorite frame that is a stunning choice for a family photo frame, traditional wedding portrait frame, and especially a landscape canvas painting frame. The width of this frame is a better proportion for small (9x12 or less) Plein Air paintings.